When Henry Ford started making his iconic Model T on the revolutionary moving assembly line back in the early stages of the 20th century, little he knew the impact his work would have on the world. 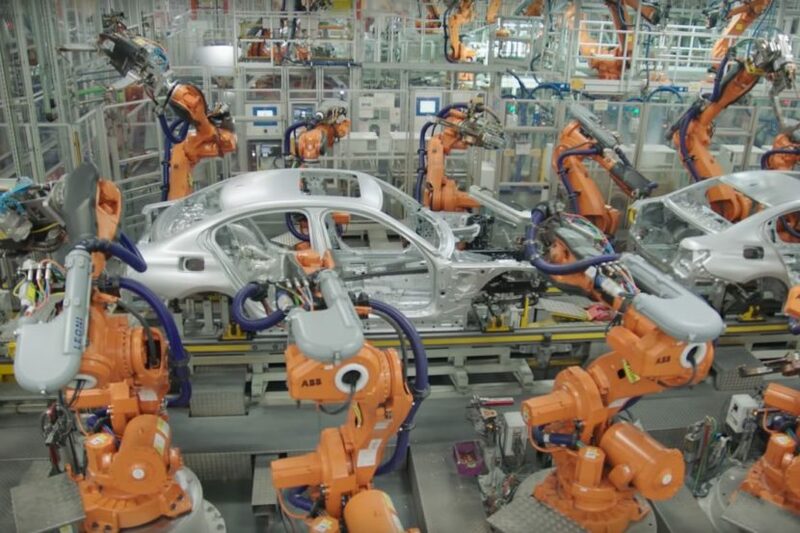 Over the years, the assembly line evolved and today BMW has some of the most advanced production systems in the world, where robots work hand in hand with humans to put together some of the best German cars you can buy. It’s the same with the new G20 3 Series. The video below shows what a car goes through on the production line in the incipient stage, before it can be driven out of the facility and then delivered to the customers. The process, as you’re about to see, has been streamlined and includes usage of autonomous robots, which can work on various parts without any supervision. Another interesting tidbit you’ll probably notice is that a lot of the body parts are now glued together instead of using nuts and bolts. The main explication is that this saves weight and fastens the process by comparison to welding or using bolts. Furthermore, some alloys used on the new 3 Series can’t really be welded due to the metals they contain so a new solution had to be found. Industrial-strength adhesives seem to be the right choice as they are easy to apply and can withstand incredible forces. However, after adhesive is applied, the car still needs some welding and rivets to join together the body panels. The robots do most of this work too, each car having six of them working on it at a time. There’s even a 3D camera taking a closer look at the car to make sure everything’s up to par. This 3D camera makes sure the tolerances are as small as possible, a new system introduced by BMW in some of its plants worldwide. The footage below was captured at the BMW Group Plant in Munich, one of its most advanced plants in the world.